In a Dec. 16 editorial, the Star rightly called on Prime Minister Stephen Harper to meet with Chief Theresa Spence, now in her (13th) day of a hunger strike. It rightly drew attention to the ongoing housing crisis at Attawapiskat First Nation. Yet, it missed the big picture. 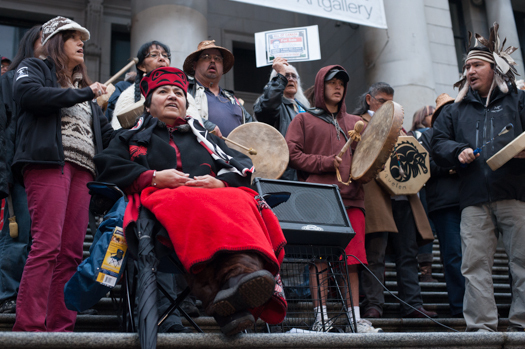 Spence’s hunger strike is not just about Attawapiskat. It is not just about housing or school funding. And it is not just about the omnibus budget Bill C-45, which eliminates federally protected waterways and facilitates the sale of reserve lands without consultation. It is about all of that and more. 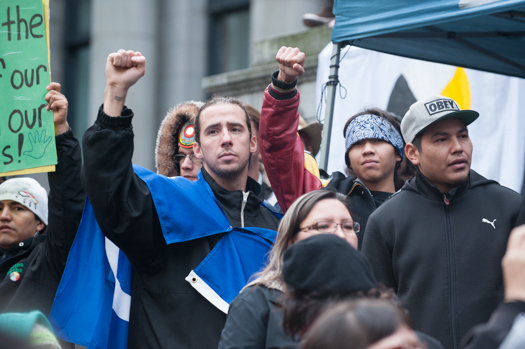 Spence’s hunger strike is part of the Idle No More movement, which, in a matter of days, has become the largest, most unified, and potentially most transformative Indigenous movement at least since the Oka resistance in 1990. The fundamental issue is the nation-to-nation treaty relationship with Indigenous peoples that Canadian governments repeatedly flout by passing legislation without free, prior and informed consent. Harper and the Governor-General (as Crown representative) must meet with Chief Spence and other First Nations leaders, to not only discuss this relationship but take concrete action to repair it. 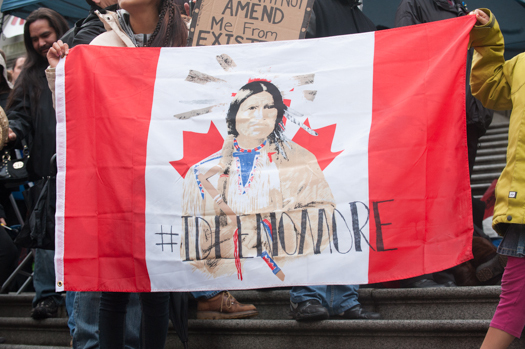 Idle No More is not a sudden case of “mass hysteria.” If one were paying attention, one could feel the movement brewing for years. On June 11, 2008, Harper apologized for the residential school system and promised to forge “a new relationship” based on “partnership” and “respect.” Some people believed — or wanted to believe — that things would change. Unfortunately, actions speak louder than words. Since 2008, the Harper government has cut aboriginal health funding, gutted environmental review processes, ignored the more than 600 missing and murdered Indigenous women across Canada, withheld residential school documents from the Truth and Reconciliation Commission, abandoned land claim negotiations, and tried to defend its underfunding of First Nations schools and child welfare agencies. Meanwhile, Indigenous peoples are the fastest growing population in Canada. They are young, ambitious and well aware of historical and contemporary injustices. Like others abroad, they are revitalizing their languages and cultures, rebuilding their nations, and supported in these initiatives by international law, including the UN Declaration on the Rights of Indigenous Peoples, which Canada reluctantly endorsed in 2010. On Friday, Dec. 21, thousands of Indigenous peoples and their allies will converge in Ottawa for a mass rally. This event follows two weeks of direct action from coast to coast to coast, including flash mobs and sit-ins, highway blockades, and drumming and prayers for change. Indigenous elders across the land have joined Chief Spence in her fast. Why should non-Indigenous Canadians care? Second, as Justice Linden of the Ipperwash Inquiry said, “we are all treaty people.” When our governments unilaterally impose legislation on the First Nations, they dishonor the Crown, they dishonor us, and they dishonor our treaty relationship. We are responsible for ensuring that our governments fulfill their commitments. If our governments do not respect Indigenous and treaty rights, then the very legitimacy of the Canadian state — and thus of all our citizenship rights — is in doubt. That’s what Idle No More is about. Jeff Denis is an Assistant Professor of Sociology at McMaster University.